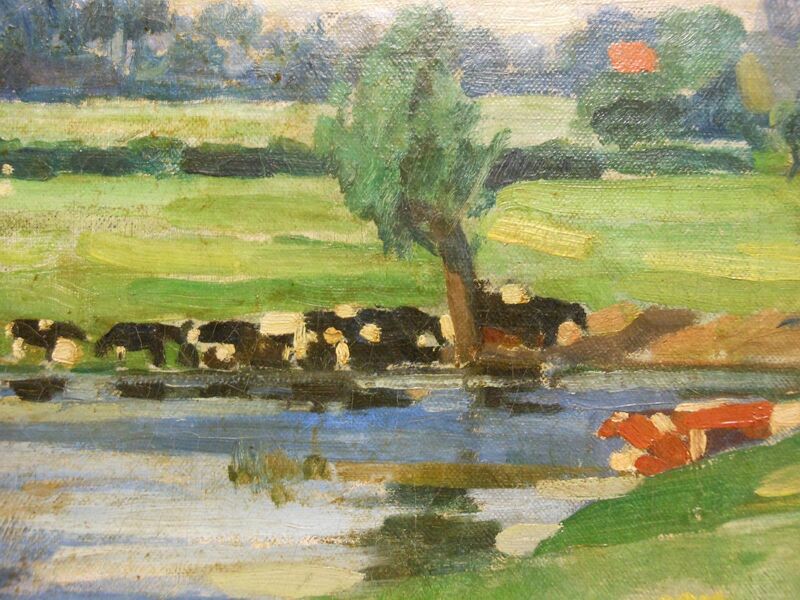 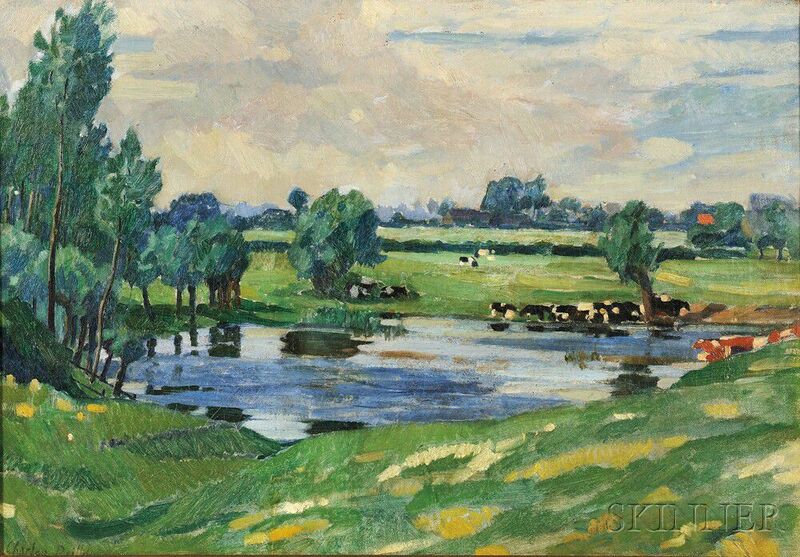 Pasture with Cattle Wading. 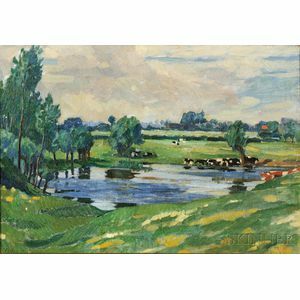 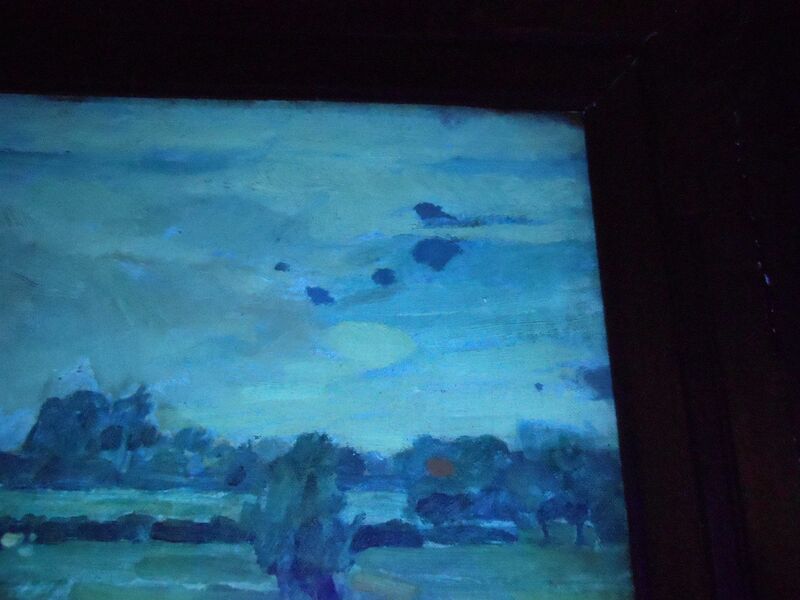 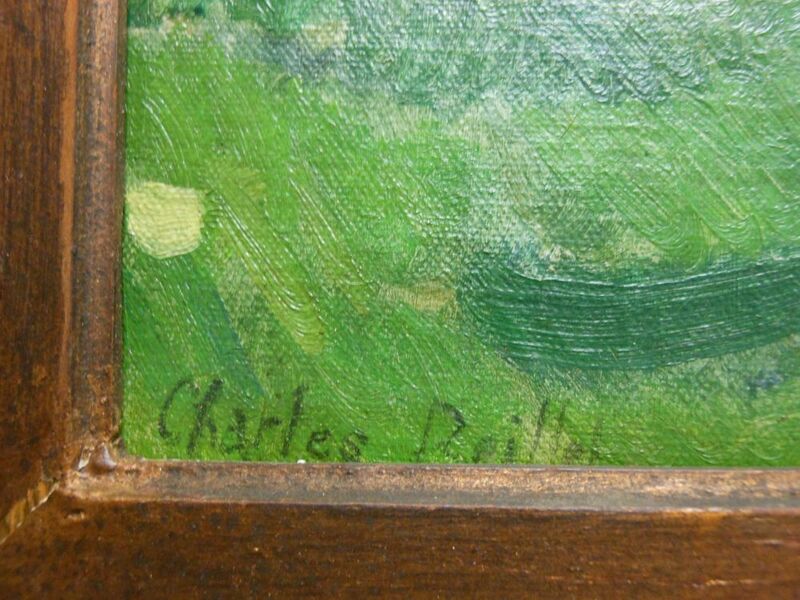 Signed "Charles Reiffel" l.l. 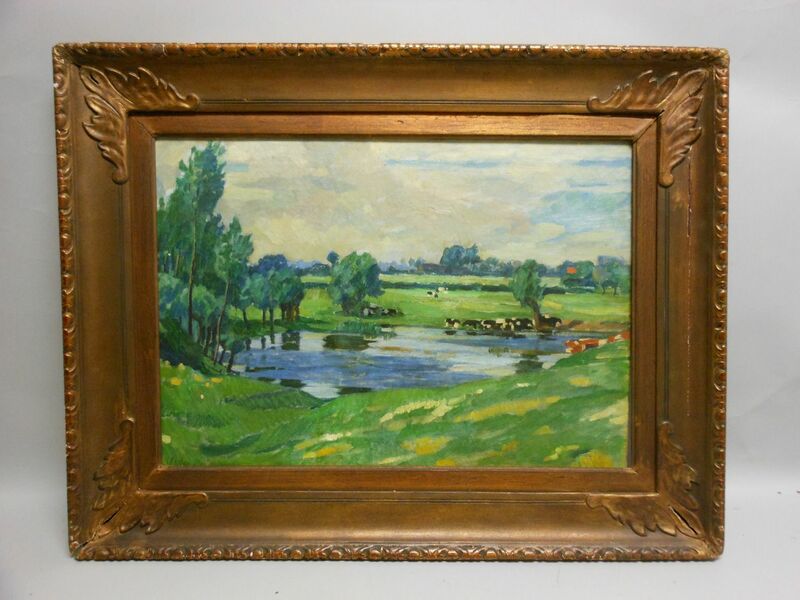 Oil on canvas, 17 x 24 in., framed. 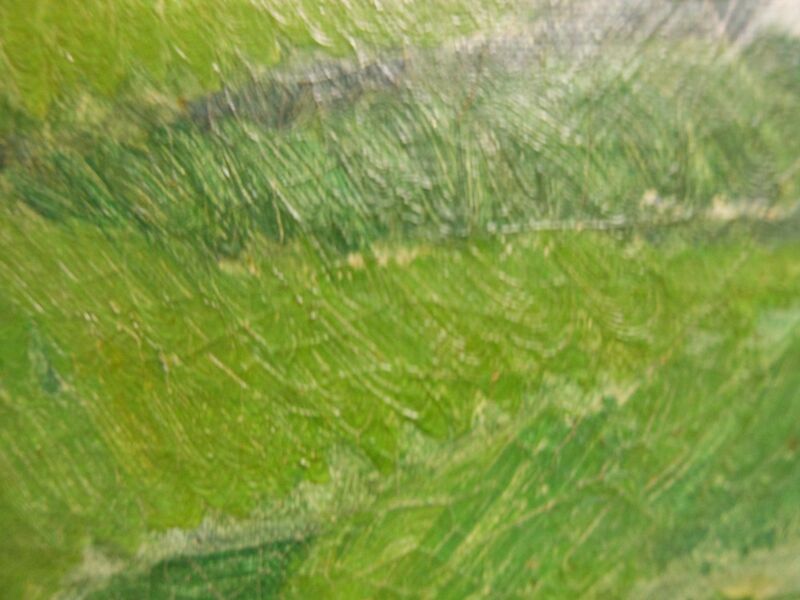 Condition: Retouch, fine craquelure, surface grime. 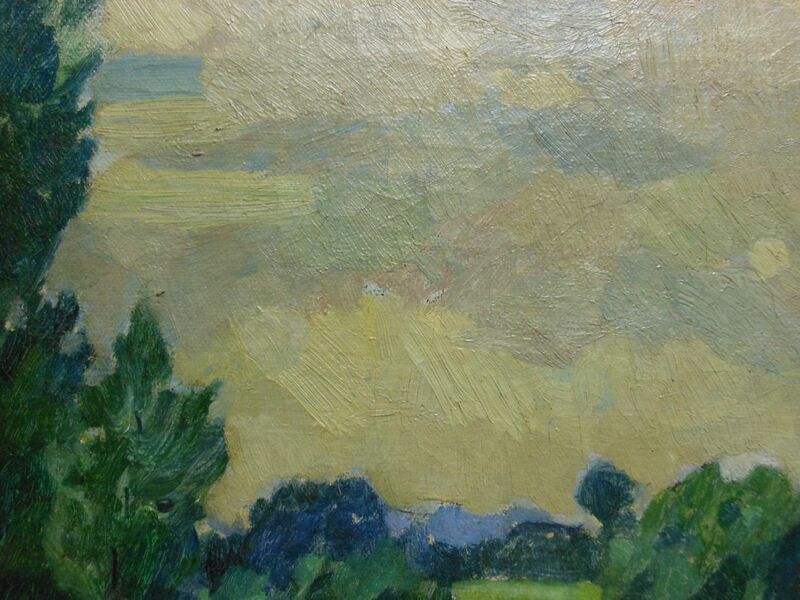 Minor retouch visible in the upper right quadrant, area measuring 1 x 3 in. 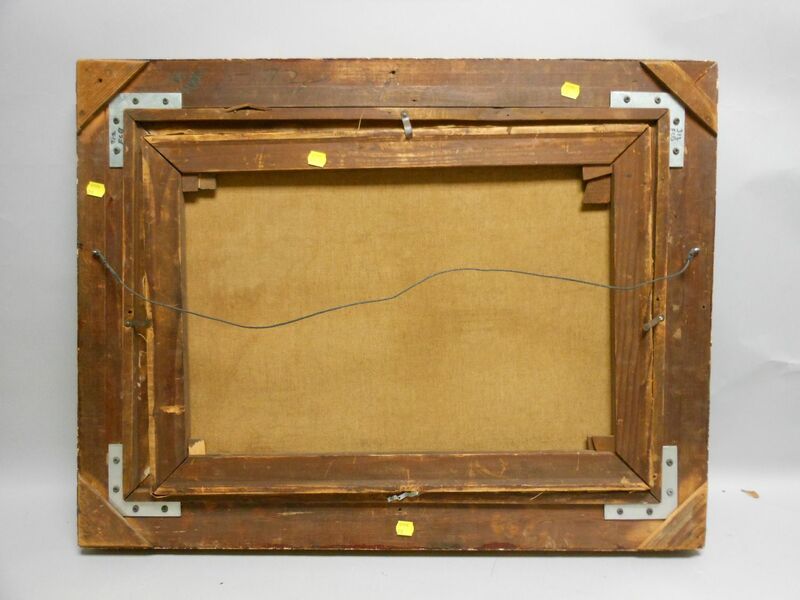 Frame dimensions: 24 x 31 in.